New Thoughts on Motivation: What Really Works? For more information, contact Wayne Hatcher, wayneh@aja.org. For more information, visit www.iactp.org or call 859-333-4209. 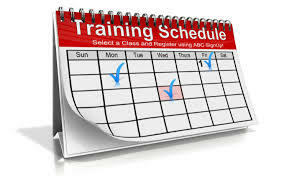 For a comprehensive calendar sortable by topic of training events and conferences in the United States and internationally, please visit www.crimeday.net. Links to state, national, and international agencies and their training offerings and professional resources.